How do horses do it? Given the choice horses would graze 24/7. Yet after a session of hand-grazing Mathilda, I’m plumb tuckered out. Too tired to swear. The optimist in us says that Mathilda is getting stronger. The pessimist points to her weight, wonders about her age, and questions the rosy-coloredness of our glasses. Either way, she is on stall rest/hand-grazing during the day while Rodney is out. At night, they swap & we let her move about at will. While Rodney has adjusted to a stall for long periods, she stiffens up. Hence the multiple grazing breaks. Having conclusively proven that she cannot be trusted to behave herself in company, I get to chaperon. It’s easy duty. She eats. I hold the leadrope. She wanders. I follow. I read light but engaging books (Mercedes Lackey, Elmore Leonard). If he wanders too close, I give him the hairy eyeball. When she’s tired, I drag her back to the barn. The only physical effort is gentle walking and watching out for fire ant hills. And yet, I am exhausted. 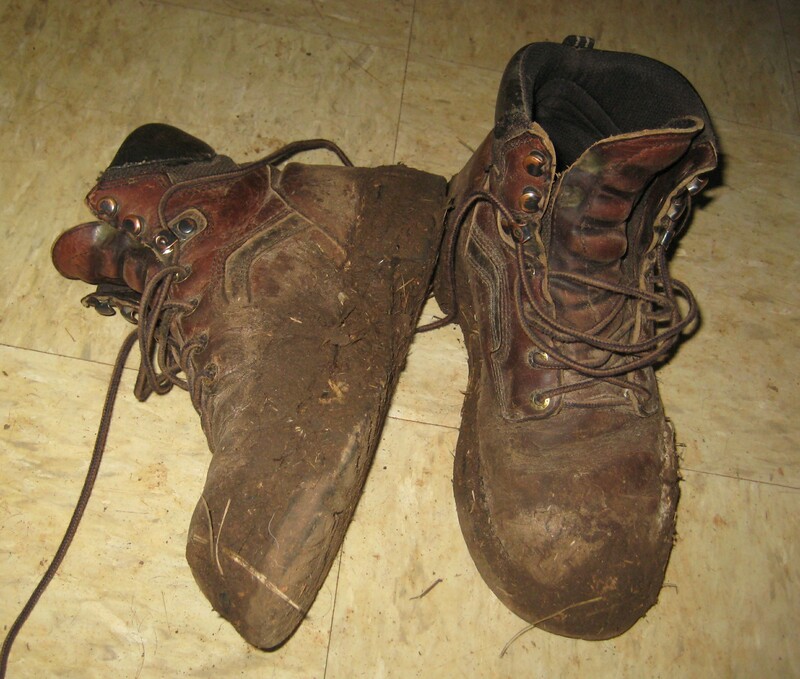 My two pairs of wonder boots help (Wellies & Red Wings [Thank You, Needful Extravagance]), but after a total of 4 hours grazing yesterday all I wanted to do in the evening was collapse into my chair and whine about my feet. How long have you ever had to graze a horse? Spending four hours on your feet requires seriously great shoes. Needful expense is exactly right.